It is nylon material developed with a concept of high sliding performance. 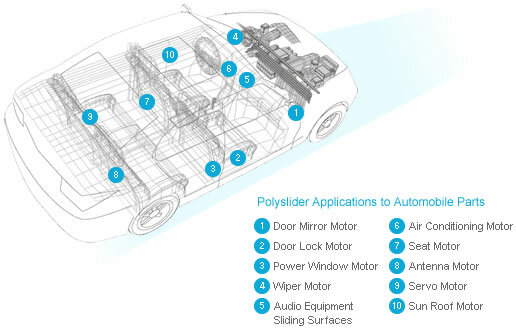 The name “Polyslider” comes from “Poly-mer resin” and something that slide. 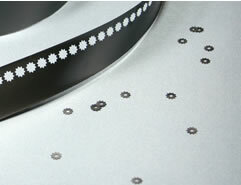 Polyslider Tape was developed with patented unique composition and process, and withstand area pressure and creep excellently with small coefficient of friction. 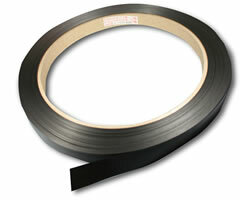 Polyslider tape is manufactured by our original rolling method. Compared to other resin sheets, it is less likely to change in thickness, and has smaller coefficient of friction. It is used for automobile parts, motor, office automation equipment, etc. for many years, and received high regard and trust from out customers. Because of its history and trust, Polyslider Tape can be used for various purposes. Polyslider Washer is a highly precise washer stamped from Polyslider Tape. It is well suited for sliding/revolving parts because of its low friction noise and less wear and tear.